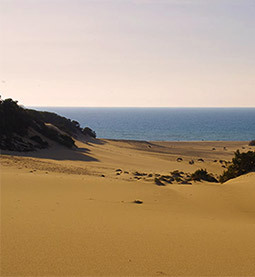 Thanks to its network of selected partners, Il Quinto Moro offers its guests a broad range of activities, from food and wine tours to motor bike itineraries along the most uncontaminated and beautiful coastal roads of Sardinia. The activities proposed by our partners range through the whole Medio Campidano Province and cover small high-quality wineries, organic honey-making enterprises, fields of saffron, visits to the local artisans’ workshops, trips and excursions in quad, jeep, on horseback, by boat or even in a two-seat ultralight plane. Thanks to its location and the detailed advice of its owners based on their extensive knowledge of the area, each guest will receive tailored info, suggestions and proposals matching their interests. The area of Marina di Arbus has 13 nature trails, and Il Quinto Moro also offers free, covered parking for motorcycles and bicycles. Not forgetting the vast range of events and activities offered by the Region throughout the year, which means that every season has something special and unique to offer. 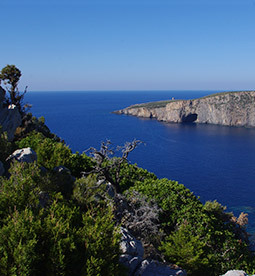 If you really want to discover an unusual island blessed by unspoilt nature, fascinating history, outdoor sports activities and adventure, book with this exceptional B&B in Sardinia and select your favourite activities.